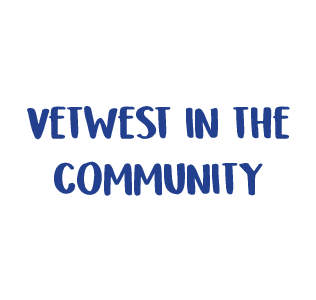 Vetwest Animal Hospitals goal is to improve the well-being of animals in our community and around the world and as such dedicate our sponsorship efforts to worthy initiatives helping animals in need. We believe we have the power to do good and support those who cannot help themselves and we pride ourselves on the work we do and the resources we can contribute to helping those in need. Below are some of the organisations that Vetwest support. RSPCA WA’s aim is to protect all animals from cruelty by actively promoting public awareness about animal welfare and advocating for improvements in the way people relate to animals. They work with governments, community and farming groups, helping animals by showing people how. RSPCA Inspectors enforce the Animal Welfare Act 2002 protecting animals from cruelty, dealing with more than 16,000 cruelty complaints every year, prosecuting offenders and rescuing animals from dangerous situations. All their staff and volunteers help to prevent cruelty by working with people of all ages, especially children and young people, to promote the value and meaning of animals in our lives. On any given day of the year, there are more than 200 animals in the care of RSPCA WA and they're helping to care for many more in the community. RSPCA WA requires $9 million annually to support their animal care centre, programs and services including the 24 hour cruelty complaint line and the work of their Inspectors. As a non-government, community based charity, they receive only 6% of funding from the government and rely on donations, bequests, sponsorships (like Vetwest) and volunteering from West Australians, just like you. Vetwest has been a major sponsor of the RSPCA for years. We provide heavily discounted services to the animals in the care of the RSPCA and help their team to prepare the animals to find their forever homes. This includes consultations with our vets, medical treatments such as vaccinations, parasite control or medication and surgeries including routine sterilisations plus other complicated procedures. Greyhounds as Pets WA (GAP) is a program of Racing and Wagering Western Australia (RWWA). GAP’s mission is to promote, encourage and facilitate greyhound pet ownership to the wider community through the provision of safe, healthy greyhounds to homes throughout Western Australia. RWWA is committed to ensuring that the best levels of care are given to greyhounds throughout all stages of their lives, through a program of investment, education, monitoring and regulation. When a greyhound retires from the racing industry, at any age, RWWA will aim to achieve every healthy and behaviourally sound greyhound being rehomed. Vetwest has been a major sponsor of the GAP for a number years. We provide heavily discounted services to the animals in the care of the GAP and help their team to prepare the animals to find their forever homes. This includes consultations with our vets, medical treatments such as vaccinations, parasite control or medication and surgeries including routine sterilisations plus other complicated procedures. HAMR was formed not only to rescue and rehome Husky and Malamutes but also to educate. Follow their website and Facebook to see dogs they have rescued as they go through a loving journey of love and care to prepare them for their furever homes. Vetwest has been a major sponsor of HAMR for the last year. We provide heavily discounted services to the animals in the care of the HAMR and help their team to prepare the animals to find their forever homes. This includes consultations with our vets, medical treatments such as vaccinations, parasite control or medication and surgeries including routine sterilisations plus other complicated procedures. SAFE (Saving Animals from Euthanasia Inc.) was founded in Karratha in 2003 and since its inception over 14,000 healthy, rehomable animals have been saved and adopted to new homes in WA and across the country. The organisation has expanded to become WA’s largest volunteer-based animal rescue and rehoming service using the foster care model and is the Western Australian arm of Animal Welfare League Australia (AWLA). Vetwest has only recently commenced a sponsorship with SAFE. We provide heavily discounted services to the animals in the care of the SAFE and help their team to prepare the animals to find their forever homes. This includes consultations with our vets, medical treatments such as vaccinations, parasite control or medication and surgeries including routine sterilisations plus other complicated procedures. Bali Animal Welfare Association (BAWA) is a non-profit organisation based in Bali, Indonesia. BAWA works to save, protect and improve the lives of all animals in Bali and beyond. BAWA directly relieves the suffering of animals by providing emergency response and rescue, food and medication, rehabilitation and adoption. BAWA practices humane population control, disease control and runs intensive education and advocacy programs for sustainable improvement to animal welfare now and into the future. BAWA will respond to alerts of any animal in distress – from snakes to dolphins. A key focus is Bali’s Heritage Dog – the island’s genetically unique street dog that is under threat. BAWA is funded entirely by donations and relies heavily on a staff of dedicated volunteers. Vetwest has been a very big supporter of the fantastic work of BAWA for a number of years. Bali is a second home for many West Australians and many of us have been exposed to the very poor conditions many animals that live there are exposed too. The dedicated team at BAWA believe in a better life for these animals and we believe so to. Each year Vetwest holds our annual quiz night and we do so to raise funds for this very worthy charity. Our team get involved along with friends, family and industry supporters to have a night of fun for a cause. Vetwest matches dollar for dollar the donations raised on the night and all proceeds go towards supporting the animals in need in Bali. A world where bears are valued as an integral part of the natural environment and are no longer exploited or abused. Vetwest Animal Hospitals has a history of finding new homes for pets in need. In fact, we are proud to place many pets particularly kittens and cats in homes every year with the help of dedicated cat lovers and new pet owners in our local area. and have been very spoilt by our nursing team. Our Cat Adoption Centre clients receive a full history (as we know it), and a vaccination certificate for their new pet.